German promotions ROCK 'N' GROWL is looking for a drummer for a dark and groovy lava metal production in the veins of BLACK SABBATH/DIO. It could be YOU who are now holding sticks in your hand! The pro drum player (please not a beginner) has to have the means of recording and delivering your own drum tracks for a post production. 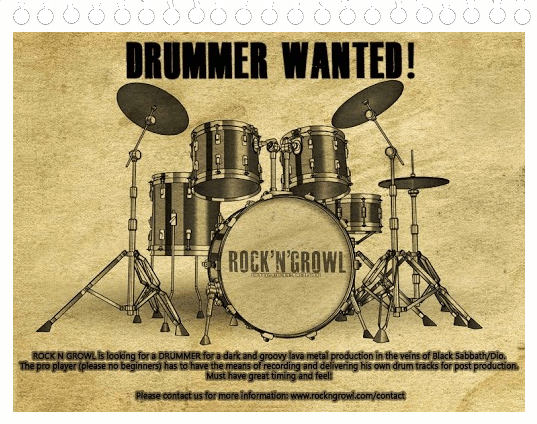 Please contact ROCK 'N' GROWL for more information.